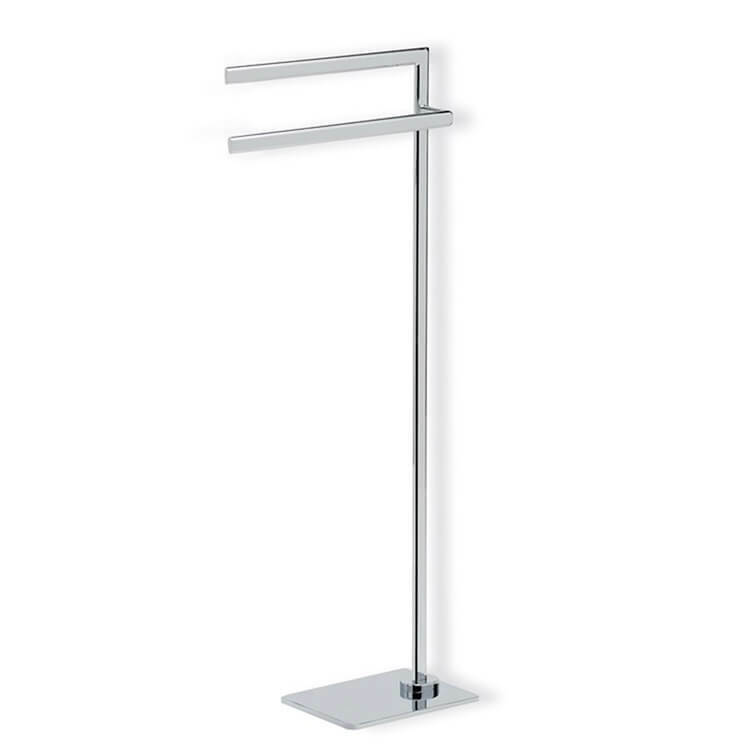 This designer towel stand offers a simplistic approach to bathroom accessories. 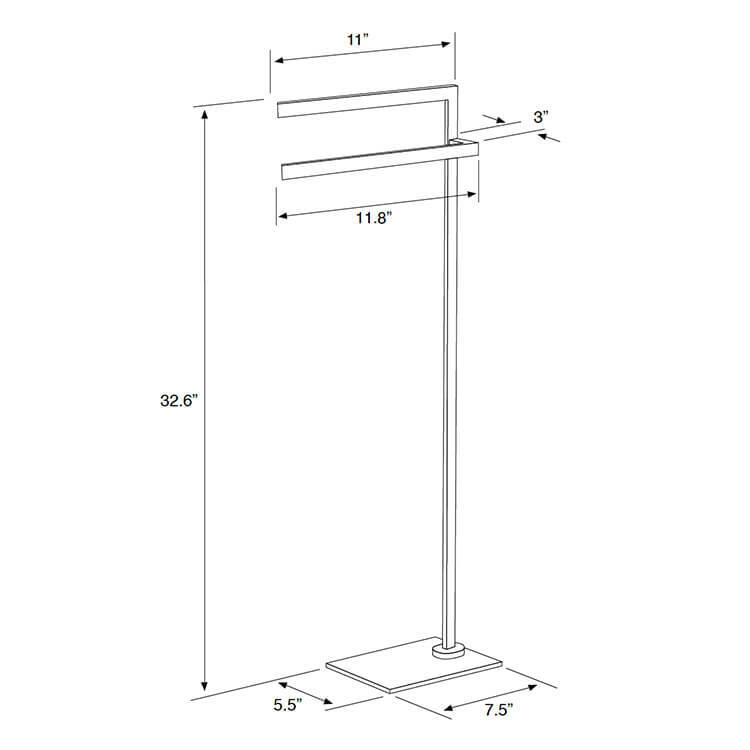 This free standing towel rack has a rectangular base as well as two equal length towel tails that can easily hold two towels. This rack is made of brass and is available in two finishes including chrome and satin nickel.